Could you be a risk for Colon Cancer? March is Colon Cancer Awareness Month. 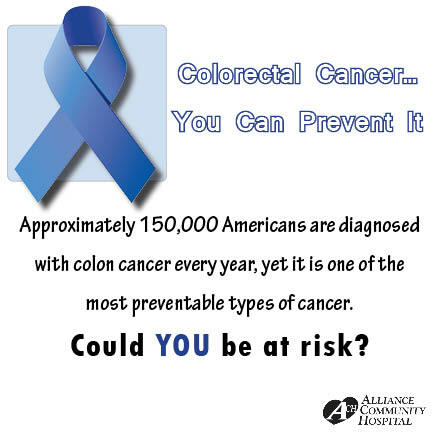 Learn more about Colon Cancer and the importance of Screening for Colon Cancer HERE. During screenings, the doctor will look for polyps (pah-lips) or signs of cancer. Polyps are small growths that can become cancerous over time. 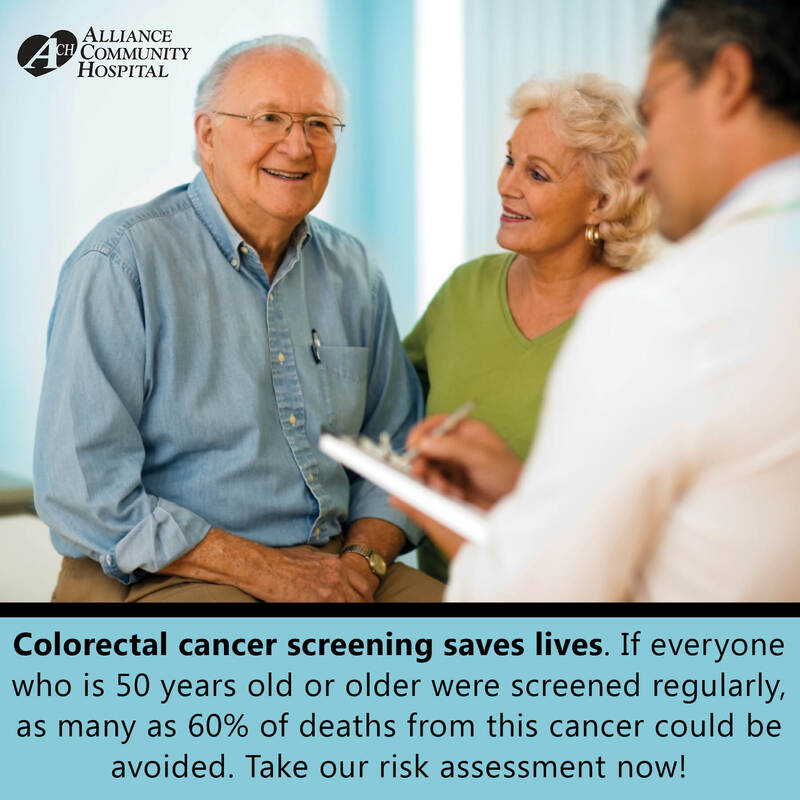 Your doctor will decide how often you will need to be tested, usually once every 10 years, or sooner depending on your personal risk for colon cancer. It’s important for you to talk with your doctor to understand your risk for colon cancer, the guidelines you should follow for testing, and whether you need to start having the tests at age 50 or earlier. Regular colorectal cancer testing is one of the most powerful weapons for preventing colorectal cancer or finding it early, when it is easier to treat. Removing polyps can help prevent colorectal cancer from ever starting. Cancers found in an early stage (while they are small and before they have spread) are more easily treated. Nine out of 10 people whose colon cancer was discovered early will be alive 5 years later, and many will live a normal life span. All too often, people don’t have regular screening tests done. This allows the cancer can grow and spread without being noticed, like a silent invader. Early on, colorectal cancer typically doesn’t have symptoms. And in many cases, by the time an individual has symptoms, the cancer is advanced and very hard to treat. To find out if you could be at a higher risk for Colon Cancer, answer a few short questions HERE.